IRAS conducts GST audits of companies to ensure that they comply with the GST regulations, and to check for accuracy with all their information, assumptions and computations. IRAS has stepped up its audits on large businesses but medium size businesses may also be subjected to GST audit at times. faster issuance of rulings and resolutions. However, for many GRBs it is not easy to manage the GST issues all by themselves, and when they receive notification from the IRAS informing that their business has been shortlisted for a GST audit, it is a cause of concern and anxiety for the business owners. Though companies take adequate measures to ensure compliance, there could be some inadvertent errors that may raise red flags during the audit. Depending on the nature, circumstances and scope of the non-compliance, the repercussions of such findings will impact the company, in the form of further investigations, penalties, or even imprisonment leading to wastage of resources. Taxpayers who have made errors in their returns / forms may voluntarily report the errors in a timely manner, to correct their errors for reduced penalties. A voluntary disclosure is considered timely and self-initiated if it is made before you receive a query from IRAS relating to your returns, or before you receive audit notification from IRAS. It is essential to understand that if a company is selected for GST Audit, it does not mean that the company has committed a mistake or falsely declared GST. GST Audit is a risk-based approach to confirm the accuracy of the information submitted in your GST tax return. It is to ensure that your business is in compliance with the tax laws and to educate and assist you with tax obligations. Your company may be subjected to GST audit in the following circumstances. If there are discrepancies between your company’s GST filings and filings by another company of similar stature and business. What to Expect During Audit? The audit process is to verify if the GST has been properly accounted for in your transactions, and to ensure that the information is correctly reported in your GST returns. So IRAS officers would check if your supplies are classified correctly, if GST was properly charged and accounted for, if input tax was claimed correctly, and if the values of supplies, purchases and taxes reported are complete. An audit can be conducted via emails, letters, faxes and telephone interviews or officers may visit the premises or request to meet key persons of your company. You must cooperate with the tax officials by providing full access to your premises, records and documents. The officers may make copies of your records and documents and interview you or the staff. You must extend complete cooperation to the officers to complete the audit and provide prompt and truthful replies when asked for information. Failure to cooperate or causing hindrance or obstruction to the tax officials is an offence punishable with a fine of up to S$5,000 or imprisonment. Depending on the nature and complexity of your business and the cooperation provided, the audit can be completed within 12 months. You will be notified on the outcomes of the audit in writing. An assessment may make adjustments to reported GST values and penalties, if any, would be charged. The assessment notification will explain the basis of any adjustments made and penalties charged and would suggest areas of improvement for better compliance. If you disagree with the comptroller’s decision on objection, you may file a petition of appeal within 30 days of the decision to the GST Board. The burden of proving that the comptroller’s decision is wrong is on the part who appeals. In case of incorrect GST returns you may be penalised for up to 200% of the tax undercharged or over-claimed for the submission of incorrect GST returns, and be liable to a fine and imprisonment term. It must be noted that businesses that commit fraud may be dealt with more severely. First, when your company’s accounting system is being set up, clearly list and confirm what and how much GST you must collect and remit. Practice good record keeping and conduct periodic reviews. Whenever your nature of business undergoes a change, or new products and services are added, review your obligations and ensure that your invoicing system complies. One way of ensuring that the amount of tax collected is appropriate you may conduct a reasonability test whereby the amount collected is reviewed against your level of sales. It is useful to engage professional tax experts to provide insights and recommendations on your tax obligations and invoicing procedure and systems. It also helps to implement sound internal controls. If you have received a notice of audit, first check if the books are in order and all supporting records and documentation are complete and up to date. Gaps in accounting or lack of supporting documentation will be deemed as negligence, and the company’s books and filings will be subjected to further scrutiny. For a quick overview of what should go into your books and financial reports, read our how-to on compilation of financial statements. Engaging professional tax experts will help you to quickly review and correct any gaps and help the company to prepare for potential questions relating to methodologies and assumptions. 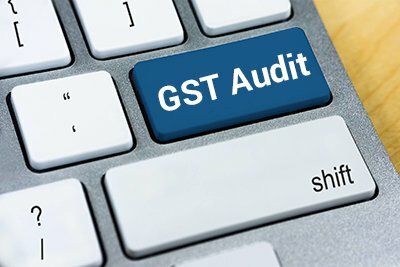 The seasoned service providers will be quick to identify the unique transactions that may have flagged the company for GST audit and help you review and prepare for the audit process. Typically, company owners and staff are often not comfortable and confident in answering the questions raised by officers during the audit. However, it is essential to communicate openly and transparently and explain the rationales involved in the methodologies. The purpose of the audit is not to incriminate the owners and staff who unintentionally commit reporting errors but to ensure that proper methodologies are followed. Such transparent discussion is feasible only when the company owner and staff are confident about their methodologies, and this is where the pre-audit preparation by professional tax service providers can be immensely helpful. A professional service provider will also be able to guide you on procedures to seek audit wrap-up pointers, to formally respond to queries of the authority, to secure confirmation or clarification on the issues raised during the audit. They will also guide you on how to file objections to the audit assessment or proposed adjustments and secure settlement. This will help you to prevent any future disputes. At Singapore Tax Accounting, we have tax experts who have extensive experience in a broad spectrum of businesses. Our clients who have breezed through such audits with the professional help of our tax experts immensely value their knowledge and resourcefulness in handling issues that are both common and unique. We can ensure that you are in the best possible position to respond to GST audits and if needed negotiate an appropriate settlement. Incorrect treatment of standard rated supplies as zero-rated supplies. Human errors – incorrect entry, wrong formula etc. Accounting system errors – wrong codes, incorrect decisions etc. Oversight – failure to take note of policy/legislative changes, business changes. Get our experts to assist you in using IRAS' Assisted Self-Test Kit (ASK) to assess your compliance with regulations.